OK man - get your machine's manual out and check what your stitches do. You must have an edge stitch on your machine. Even a zig-zag for the edge finish will do, but read your manual. And love the taggies! Gotta go check your daughter's blog now. 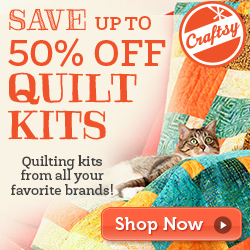 Yay for new quilters! I was going to tell you how to manage without a serger, but someone did that already. but if you buy a serger, remember that the hard part is learning to thread the thing. I just learned about French seams too and would recommend them! They use a straight stitch but hide the raw edges. When I make a pillowcase, I fold the top of the hem allowance to the inside and pin it down to hold it in place. Then I fold it down again. On the Right side of the fabric, I sew A quarter inch seam and it encases the raw edge on the inside and leaves a beautiful design on the outside. On the outside seam, you can turn it up or down and add lace or ric-rac.I hope this makes sence to you. It is very easy do do and also fast. If you are adding a different color strip to the top, you can sew the right side of the strip to the wrong side of the pillowcase, then fold it over to the front, turn under a 1/4 seam allowance, then top stitch it. This looks really nice, too. For the side seams, I just use an overlock stitch. Ok it's not THAT bad but, since you said you're going to make so many more pillowcases Richard - you will love this video. She will give you the measurements and a very good tutorial in making pillowcases which are fully completed with all seams hidden when you're done. I did not watch the video to compare the video with the measurements given here but she stated they came from the video so I'm assuming they must be. Besides, even if not exact, this is a very good written tutorial with pictures. For me however, the video is awesome and is very much recommended to watch as it really helps to understand so much easier. I think most machines have an overlocking stitch on them, which can be used to neaten up hems and probably stitch things like pillows too. It's a great pillowcase, don't let anyone kid you. One can always make improvements in anything, but this looks good! I don't use any of the above methods of finishing my seam so it doesn't show, but it's easier shown than explained. =) The thing is, children will use these and whatever kind of finish you have on that edge, or however you hide the edge, it will be fine! It's not just a "man thing". I'm bad for quickly looking at a pattern and then diving in with the famous last words, "Oh, this won't be that hard." But pillowcases intimidate me. Maybe it was just the instructions I had, but they seemed like a TON of steps for something so basic looking. 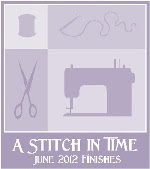 Thank you for signing up for the give-away drawing to be held July Fourth at www.rocknquilts.blogspot.com! Love the fabric in the pillowcase and it looks like you have gotten lots of great tips already! I love making pillowcases! They make such fun gifts, so I think all your step-nieces and nephews (I think I followed that right) will love them! The elephant one is cute, even if it has a little character. Thanks for linking up!